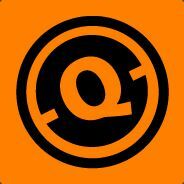 Welcome to the public steam group for the [-Q-] community! The [-Q-] clan is a multi-gaming clan consisting primarily of North American West Coast players. We are the largest clan specific Steam community group, and founders of The Teamwork Movement (the second largest Steam community group with over 33,000 members). Our servers are some of the most popular in their respective categories, and run on some of the best hardware available to give you, the user, an unmatched gaming experience. While you may not see any incentive to join [-Q-] over any random server in the server listings, the [-Q-] servers truly do take a game to a new level. Our servers' are unrivaled in quality because of our admins, our hardware and our regulars. The combination of the three provides you with extremely responsive/lag free servers, along with skilled regulars to play with at every hour of the day. If you're skeptical, I strongly encourage you to at least go on to the [-Q-] servers for five minutes. It's the easiest way to see what makes our community so remarkable! [-Q-] has opened THREE TF2 servers in Seattle, Wa. [-Q-] has opened THREE TF2 servers based in Seattle, Washington. All three servers utilize some of the best hardware out there to give you the best gameplay possible. Severel reliable sources have said that TF2 won't be released at midnight. It will more than likely be released in the evening on the 17th. Stay tuned for more info. We'll put up an announcement as soon as the client is available. Regardless of when the client files are released, we'll make sure that our servers are up and running so that you have a place to play!